With its emerald hillsides, tropical forests, and sun-drenched beaches, Grenada is truly a feast for the senses. No building here may be built higher than a coconut palm. Grenada is famous for their waterfalls, one being Seven Sisters Falls, where the water rushes down the mountainside into a large pool perfect for swimming. Nearby you can partake in rum tours, visit local shops, and just unwind. 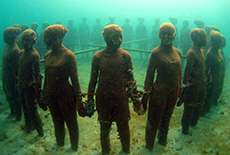 Enjoy a dip in the pristine waters around Grenada and snorkel at a unique underwater sculpture park. 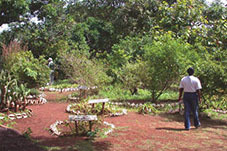 Spice gardens and plantation tours are a Grenada must-do. Inhale the scent of cinnamon, cocoa and cloves at historic Dougaldston Spice Estate or visit Gouyave Nutmeg Station for its "Black Gold." This tourist town has resorts, restaurants, a thriving nightlife and a famed beach that is an idyllic crescent of sand shaded by coconut palms with a gentle turquoise surf. 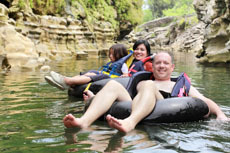 When tubing in Grenada, it's an exciting adventure swooping through narrow rivers with mild rapids. As you walk along the forest trail covered with a carpet of dried leaves and flowers, the most distinct human sound you will hear is the voice of your tour guide as he/she reveals the secrets of Grenada. Enjoy one of the most popular water activities in Grenada and kayak your way through the areas vast beaches, bays and mangroves. Grenada scuba diving offers lots of unique and varied dive sites including multiple shipwrecks and an underwater sculpture park, making scuba diving an excellent excursion option for sea explorers visiting the island. A Grenada sailing excursion is a fun way to spend a sunny day on the water. Many of these excursions are conducted on a large catamaran and leave plenty of time for snorkeling and a tasty lunch. 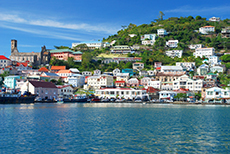 St. George's: Grenada is an island of British, French and West Indian cultural influences, all of which are visible in its colorful capital. Head to Fort George (Grand Etang Road) for views over the city and the harbor, or visit Fort Frederick (Richmond Hill) for a bird's-eye prospect over miles of green hills to the north and east of the city. Vendors peddle spices, crafts, produce and more each morning in Market Square, which is at its liveliest on Saturdays between 8 a.m. and noon. Moliniere Point: Grenada's best snorkeling is at Moliniere Point, about 20 to 30 minutes north of St. George's. There, sculptor Jason deCaires Taylor has created an underwater sculpture park that acts as an artificial reef, drawing even more fish. Many of the dive operators located on Grand Anse Beach offer several snorkeling trips a day to Moliniere Point. Snorkeling off Grand Anse Beach is also available. Gear can be rented from one of the many dive shops located along the beach. 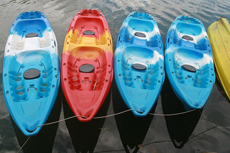 Rental equipment for additional water sports, such as windsurfing, kayaking and parasailing, can also be found at these shops. 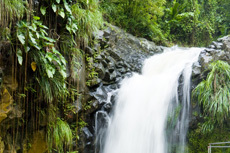 Annandale Falls: Hire a driver, or rent a car, and head to Annandale Falls. Located about 15 minutes outside of St. George's, this mountain stream cascades some 40 feet down into a pool below. You can swim there, or just hike along a path to the top of the falls. Jeep Tours: Visitors who want to get up close and personal with Grenada's tropical rainforests, plantations and cascading waterfalls should book a half- or full-day jeep tour with Adventure Tours Grenada (473-444-JEEP). 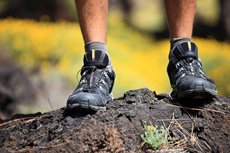 Guides combine informative commentary on the island's flora and fauna and offer outdoor adventures, such as hiking and swimming. 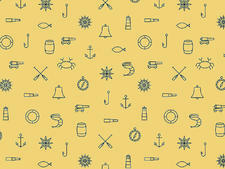 The company now offers river-tubing as well. Bianca C: Experienced divers should check out the Caribbean's largest wreck dive, the Bianca C, a 600-foot Italian ocean liner that sank off Grenada's southwest coast in 1961. Costa Line donated a bronze statue of Christ of the Abyss, now located at the Carenage, in gratitude for assistance in helping to save passengers and crew. Biking: Adventure Tours Grenada (473-444-5337) offers full-day, private guided tours that take you biking throughout Grenada's mountainous interior. You'll ride along off-road rainforest trails, which gives you an up-close look at the island's lush vegetation and colorful wildlife. Those who'd rather go it alone can rent bikes and follow a free route map. Note that Grenada's hilly terrain makes this an inappropriate choice for beginning bikers. Sauters: Take a trip to Sauters, on the northern side of the island, where you can see the steep 100-foot cliff (known as Carib's Leap) where Carib Indians jumped to their death in 1651 to avoid surrendering to French colonists. Stop for lunch at the nearby Petite Anse (473-442-5252), a boutique hotel that also serves up views of nearby Carriacou, one of two smaller islands overseen by Grenada. Sport Fishing: Grenada has excellent game fishing for blue marlin, white marlin, sailfish and yellowfin tuna. True Blue Sportfishing (473-407-4688) offers half-day charters. Best Beach for a Half-Day Visit: Morne Rouge Beach is just a few miles south of St. George's, and its clear, calm waters are perfect for an afternoon of swimming and snorkeling. There are also a few restaurants nearby where you can grab lunch. Best Beach for Active Types: Grand Anse Beach is Grenada's most famous stretch of soft, white sand. Located just south of St. George's, this stunning two-mile beach has attracted many of the island's hotels and resorts. Dive operators offer a wide array of water sports and dive/snorkeling tours, and you'll find a number of good hotel restaurants and bars within walking distance of the beach. Best Secluded Beach: La Sagesse Beach, about 25 minutes from downtown St. George's, is peaceful with a beautiful stretch of sand and hiking trails that lead across headlands to adjacent snorkeling beaches. At one end of the beach is a salt pond fringed with mangroves, a perfect spot for bird-watching. Eat lunch there at La Sagesse, a historic hotel that has added a restaurant.